Almost 30 years ago the federal government took its war on drugs to new heights by proclaiming a zero tolerance policy. All drug crimes from trafficking to possession were to fall under this new initiative, and billions of dollars were spent on incarcerating offenders. Along with the fancy tag names and plentiful resources came new legislation that kept even non-violent, first time drug offenders in jail for years. Minimum mandatory prison sentences were established, and became a major source of power for the justice department, and subsequently for federal and state prosecutors. A minimum mandatory sentence requires a judge to hand down a specific prison sentence upon a finding of guilt, either by a plea or a guilty verdict at trial. Many of these sentences exclude a defendant from parole eligibility and even gain time for good behavior. While the stated goal of these sentences was to deter drug crimes, all they really did was cause severe overcrowding of prisons across the country. Not to mention creating an environment where non-violent drug offenders were serving more time than armed robbers. Change comes slow for most government policies, but the Department of Justice has truly been moving at a snails pace with respect to its stance on illegal drugs. Attorney Generals and courtroom prosecutors have known for years that the zero tolerance policy has done little to reduce drug crime, and even less to make the public safer. All the while costing tax payers billions of dollars at the federal and state level, as many states chose to follow the fed’s lead by imposing their own minimum mandatory sentencing laws. But in the last couple years the justice department has slowly backed down from its zero tolerance stance, and in 2014 was able to report declining drug prosecutions and minimum mandatory sentences. 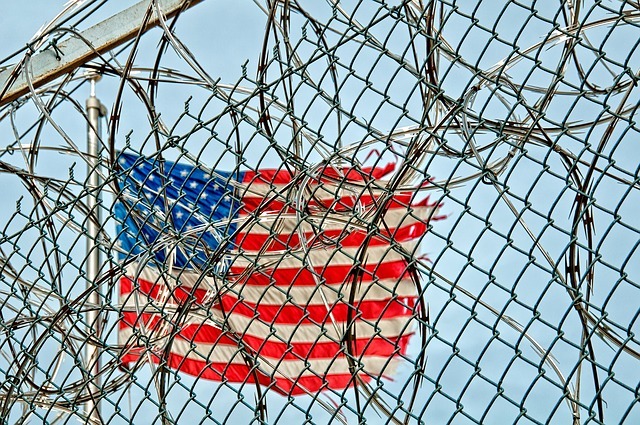 The attorney general recently announced a 6 percent decline in federal drug prosecutions this past year, and attributed it to breaking from the previous philosophy of seeking the most severe prison sentences in all drug cases. While there is no disputing the 6 percent nationwide dip, it is arguable whether policy changes are the cause. Crime rates in many states, Maryland included, have been dropping over the last couple years, and since the DOJ has not released drug prosecution numbers for individual states, there is no way to tell if the 6 percent dip is simply part of a greater trend. The drop in minimum mandatory sentences on the other hand is slightly more compelling. From 2011 to 2013 there were roughly 14,000 minimum mandatory drug crime sentences per year handed down of the five and ten-year variety, while in 2014 there were just over 10,000. The total number of federal cases where prosecutors pursued charges with minimum mandatories dropped nearly 25 percent from 2013 to 2014. These statistics may be the first sign that a shift in DOJ policy has produced actual results, rather than just appeared in press releases. But not everyone is convinced that the feds are making a sincere effort to relinquish their treasured power chip known as the minimum mandatory sentence. Maryland federal defender James Wyda recently stated that he has not seen this policy shift appear in practice on the front lines, i.e. in the courtroom. Perhaps the message has not been delivered strongly enough down the chain of command. Because regardless Holder’s public intentions, it’s the line prosecutors that will ultimately determine if and when the fed’s drug policy actually evolves. Benjamin Herbst is a federal criminal defense attorney who represents defendants in the Baltimore and Greenbelt U.S. district courts. He also handles state cases in all Maryland jurisdictions. Feel free contact Benjamin at anytime for a free consultation. Federal authorities eased up on drug cases in 2014, baltimoresun.com.